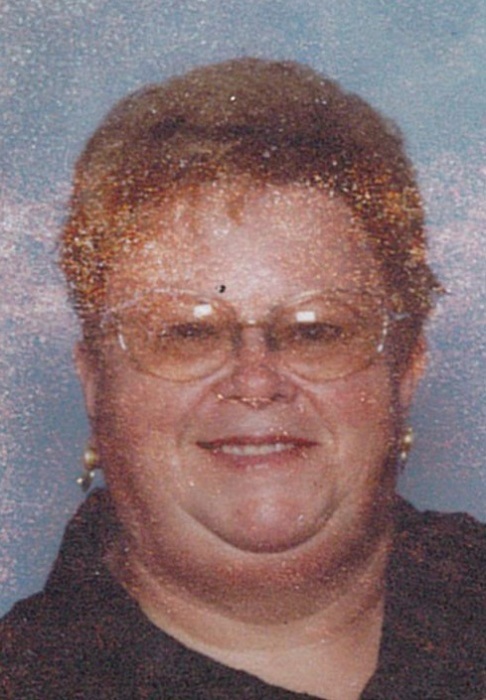 Peggy A. Stoner, 66, of Austintown, went to be with the lord on, Sunday, March 31, 2019, at Caprice Health Care in North Lima. Peggy was born May 16, 1952, in Youngstown, Ohio, the daughter of Cecil and Frances (Poveska) Jowers. She was a devoted wife and mother and grandmother to her children and grandchildren. Peggy was a member of St. Rose Church, and the Girard Multi-Generational Center. She leaves to cherish her memory her husband, John "Jack" Stoner, whom she married June 22, 1974, her son Chad (Melissa) Stoner of Girard, her sister, Lucy (Danny) Winkler of Girard, her brothers, Harold Jowers of Medina, and Jim (Jane) Jowers of Bedford, her grandchildren, Heaven and Larry Stoner, her niece Amy Hughes of Austintown, her nephews Scottie (Stephanie) Jowers of Bedford and Michael (Clarisa Ames) Jowers of Cuyahoga, and Madison Jowers her grandniece of Cuyahoga. A Memorial Mass will be held on April 5th, 11:00 AM, at St. Rose Church, with a luncheon to follow downstairs at Rosetta Hall. The family will receive relatives and friends on April 5th, from 10:00 AM until the time of service. The family suggest any memorial contributions to be made to The Kidney Foundation: 4822 Market St #240, Youngstown, OH 44512. The family would like to thank the staff at Caprice Health Care for their kind and compassionate care that was given to Peggy. Visit www.blackstonefuneralhome.com to view this obituary and to send any condolences to the family.